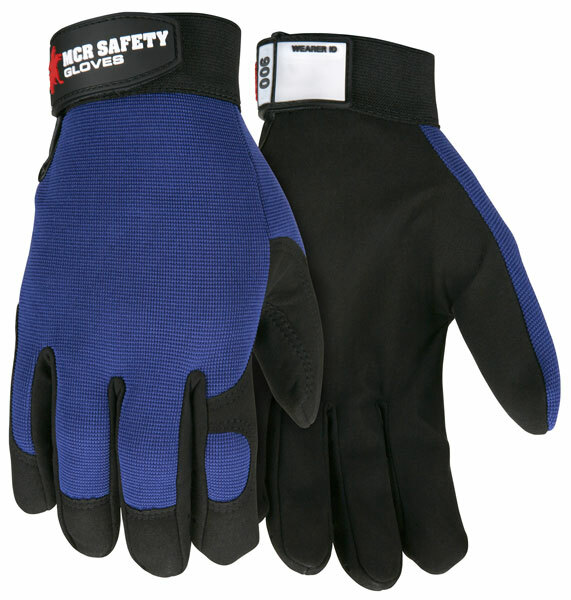 MCR Safety Multi-Task glove styles are constructed from an assortment of premium materials. Most styles feature Clarino® or other synthetic leathers. Additionally, premium grain deerskin and goatskin styles compliment this series. Clarino® and synthetic leathers improve hand protection by providing greater functions and feel by being more soft and flexible than traditional materials. These synthetic materials are also more environmentally friendly than chrome tanned leather. The 900 series features Clarino® Synthetic leather in the palm, spandex foam back, and hook and loop adjustable wrist closure.